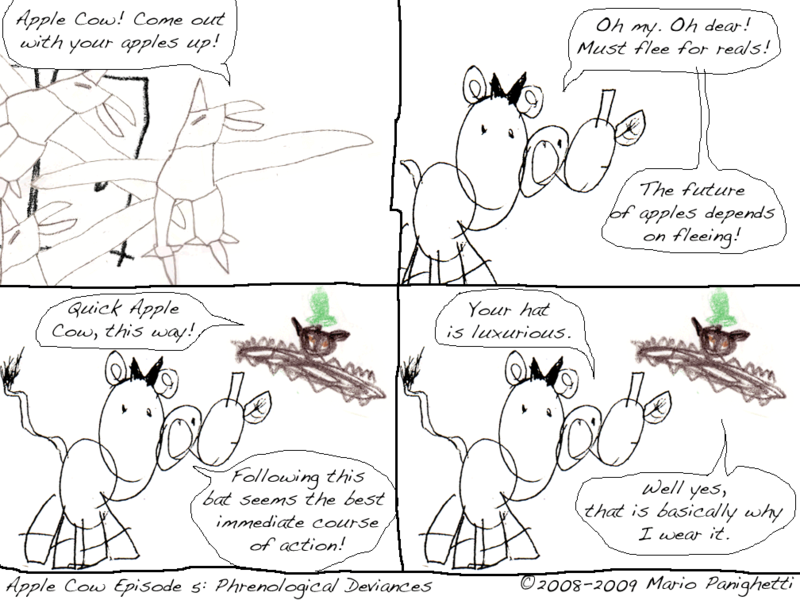 Picking up the epic Apple Cow comic series right where it left off! To all six of you who have read the other episodes of this comic: welcome to its new home! To everyone who is thoroughly confused about what the hell is going on: I’ll upload the other episodes shortly! Now everyone is in the proverbial loop. Good!